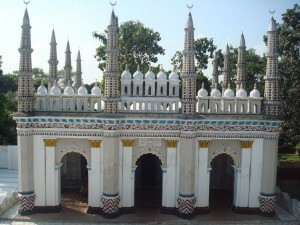 Chad Gazi Bhuya Mosque, also known as Chad Kha Mosque, is an archaic mosque from the Feni district that was built during 1112 Hijri (Arabic Calendar). 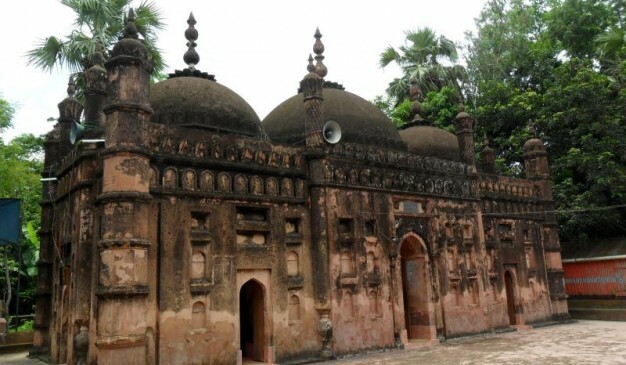 According to the inscription at the front door, the mosque was built by someone named Chad Gazi Bhuya. 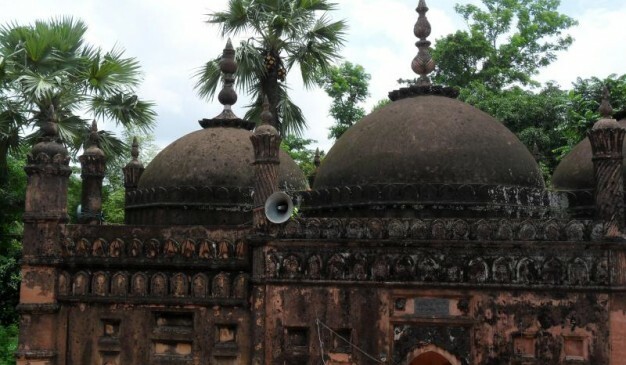 It’s a traditional three domed mosque, domes are in a single row. Center one is larger compared to the others. 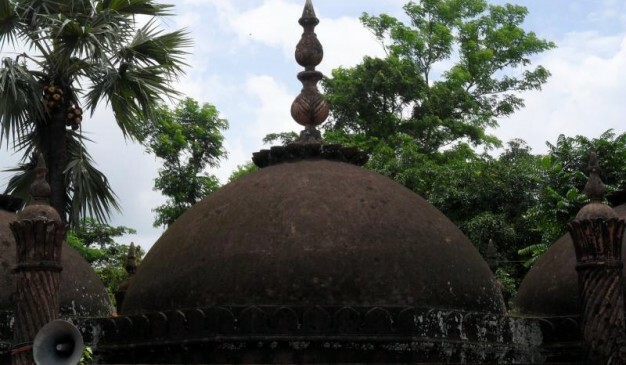 All the three domes are having a Lotus at the top and two Kolosh (native water pot). This looks delicately beautiful and adds an extraordinary beauty to the mosque. 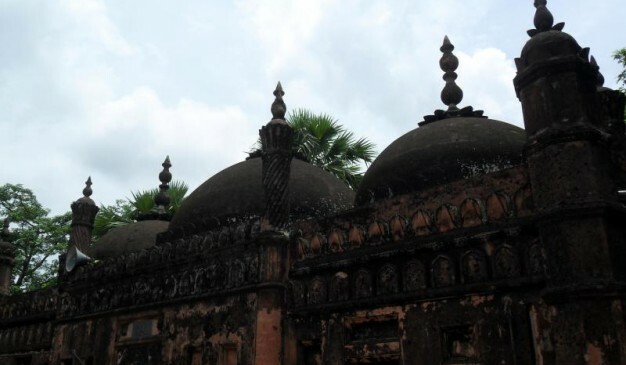 Apart from the domes, the mosque has 12 minarets over the walls in a symmetric way. 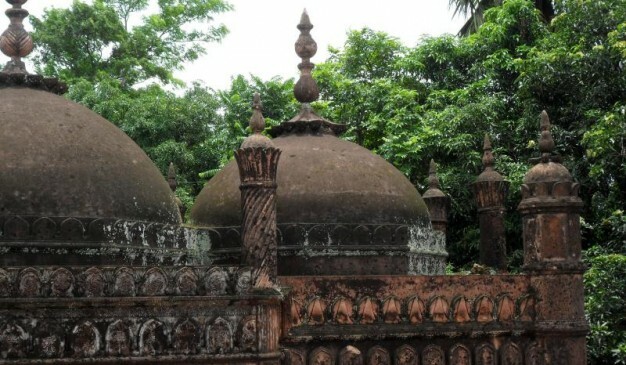 Four minarets at the four corners are having similar style and other 8 minarets amid the walls are also having similar style. Eastern side of the wall is having simple terracotta along with the terracotta above the front door. Take CNG driven auto rickshaw to come at the ChhagolnaiyaUpazila. It will cost 20 TK per person, or 100 TK if you reserve the whole vehicle. From Chhagolnaiya, take another CNG driven auto rickshaw to come at the Chad Gazi Bazaar it will be 12 TK per person. From the bazaar, you can have a walk or take a rickshaw to reach near the mosque. 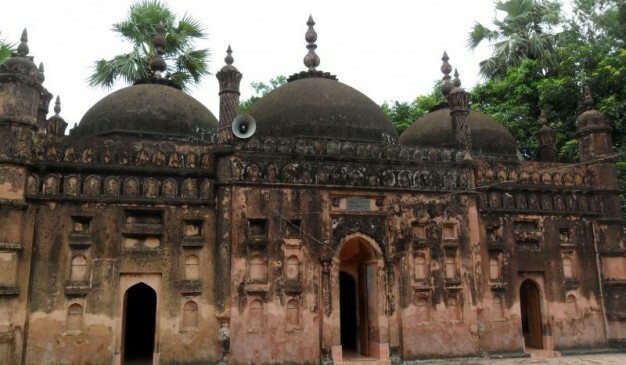 The Chad GaziMosjid is around 10-15 minutes of walking distance from the bazaar. Accommodation facilities in the district are of moderate quality and have plenty of room for improvement. Some places you may consider staying in Feni are listed below for your assistance. 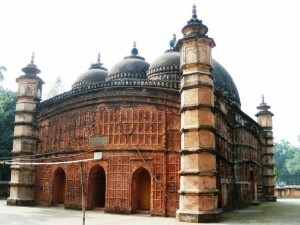 Chatmohor Mosque mosque was built with red zafi bricks. It has 3 domes. Its length is 51 feet and breadth 21 feet. 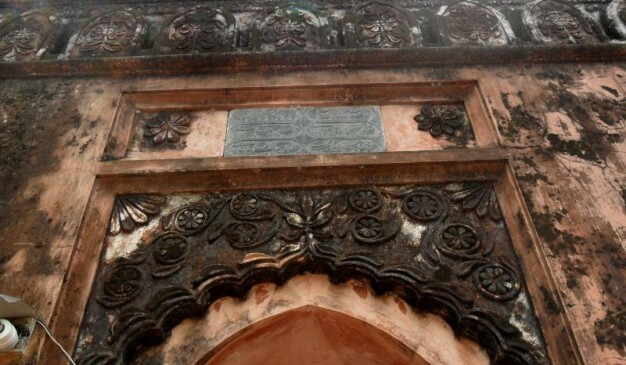 An inscription says that it was built during time of Great Sultan, the chief of Saiyyiads Abduls Fath Mohammad Makum Khan, son of Tu Mohammad Khan Kushal. 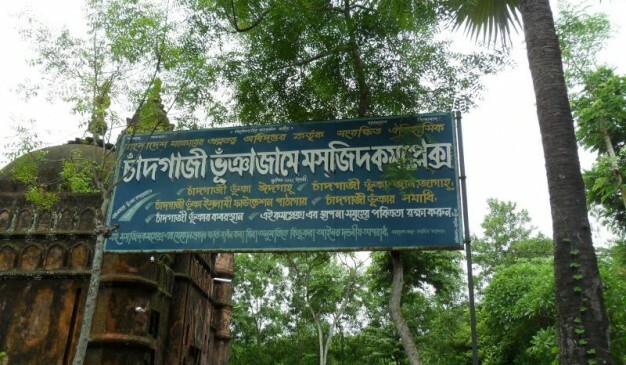 The inscription on black stone is kept in Varendra Research Museum. 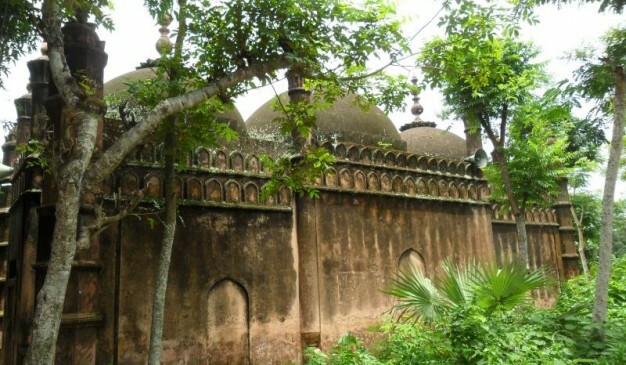 Nawabbari Mosque of Dhonbari is built at the outside of the Nawab Manzil premise, so that local people can access it during their prayer time. 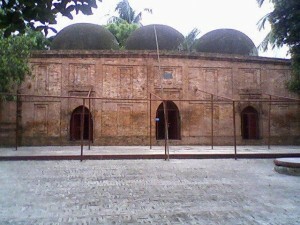 Initially, Nawabbari Mosque of Dhonbari was an old fashioned three domes mosque similar to the other ancient mosques from Bangladesh. 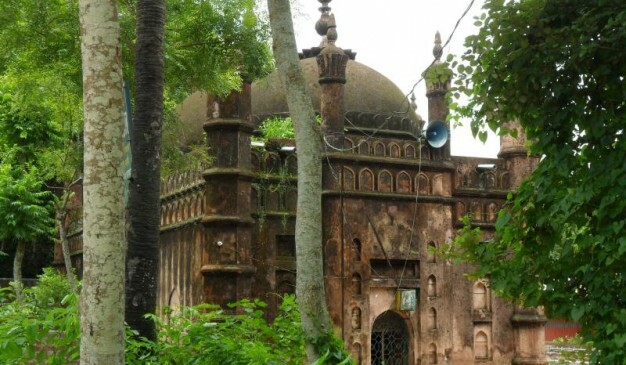 But later this mosque was extended to accommodate more people. 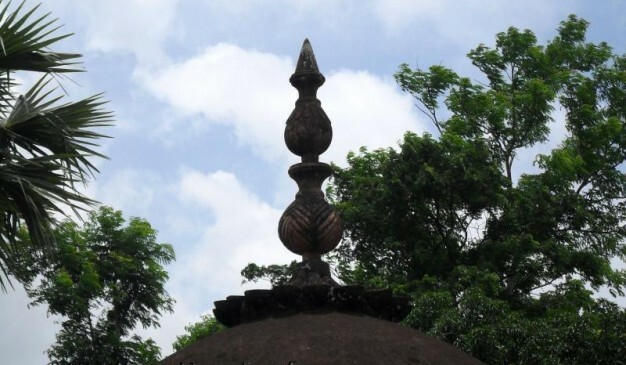 Extended part is having 10/12 minarets at top which are similar to Persian design. 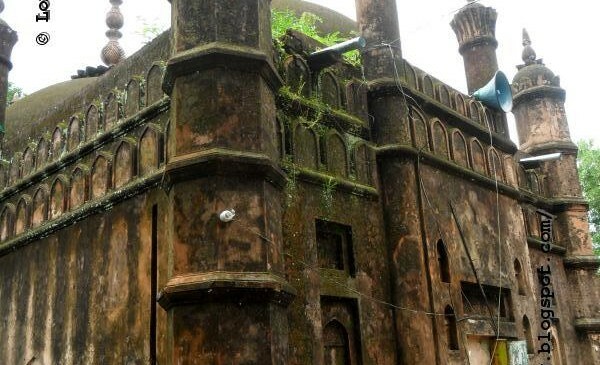 This extension with the old fashioned mosque made it a hybrid looking mosque. 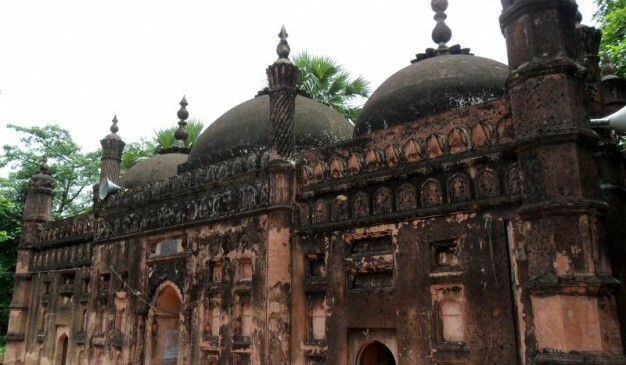 Not enough antiquities are left now a days. But still, you'll love to see this mosque. It’s neat and clean everywhere. 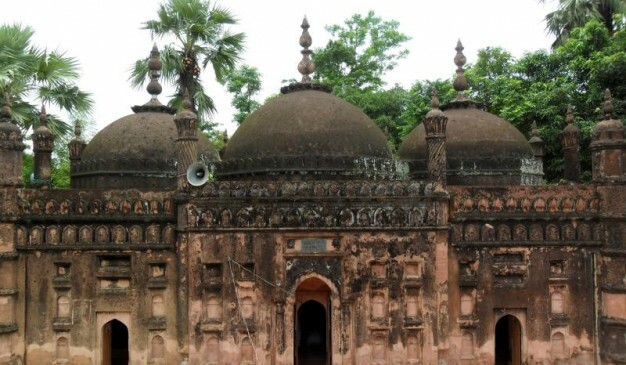 Apart from the mosque, there are few micro edifices are available around the mosque. I am not sure what those are. 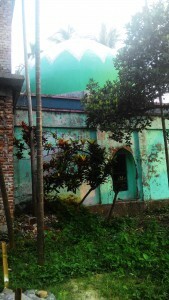 There are few old graves available at the graveyard which is at the western side of the mosque. 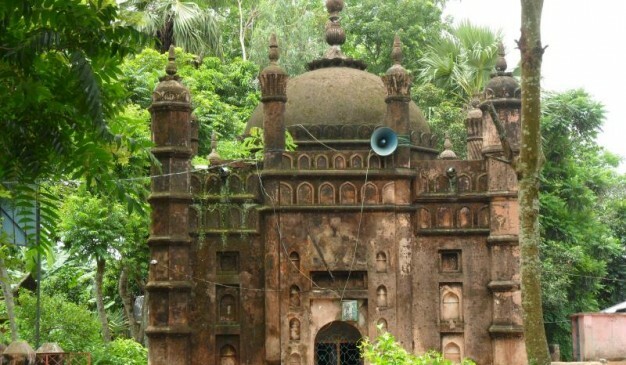 Since 1929, after the death of Nawab Ali Choudhury (নবাব আলী চৌধুরী) the Holy Qur'an has been recited continually beside his grave.